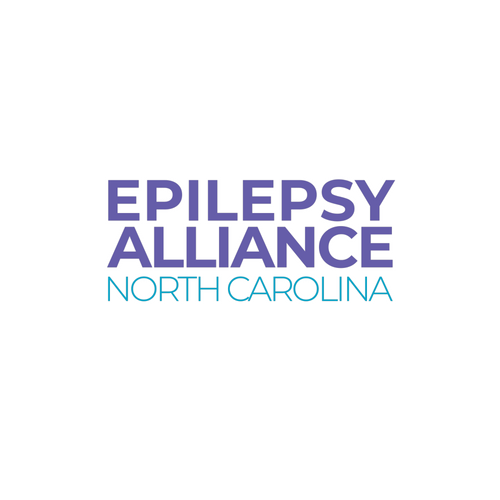 Epilepsy Foundation of North Carolina Website. This website is owned and provided by the Epilepsy Foundation of North Carolina and is provided for your personal information and education. “Site” as used in these terms and conditions (the “Terms & Conditions”) includes, without limitation, www.epilepsync.org and any other website owned or controlled by EFNC from time to time as well as our pages and applications on third-party social-networking services such as Facebook, LinkedIn or Twitter and our applications on mobile devices. Unless otherwise stated in these Terms & Conditions, any reference to “EFNC” in these Terms & Conditions refers to The Epilepsy Foundation of North Carolina and all of its affiliated companies or organizations. These Terms & Conditions will take effect at the time you begin using the Site. If you violate any of these Terms & Conditions, your permission to use the Site automatically terminates. We reserve the right to change these Terms & Conditions at any time without notice. Please check back often to ensure you are aware of any updates or changes to these Terms & Conditions. Intellectual Property. All intellectual property appearing on the Site, including without limitation the trademarks, service marks, brand identities, characters, trade names, graphics, designs, copyrights and all other intellectual property (“EFNC Content”), except as otherwise noted, is protected intellectual property of, or used with permission or under license by, EFNC. You may not use any EFNC Content without EFNC’s prior express written permission. The use of any EFNC Content, except as provided in these Terms & Conditions or in the Site content, is strictly prohibited. You may print copies of the information on the Site for your personal use, store the files on your computer for personal use, or reference this server from your own documents. However, you may not reproduce, distribute, sell, publish, broadcast, create derivative works from, or circulate or otherwise disseminate any EFNC Content to others without EFNC’s express written consent. Also, you may not, without EFNC’s permission, copy and/or distribute any EFNC Content on any other server, or modify or re-use any EFNC Content on this system or another system. Any use of EFNC Content not expressly permitted by these Terms & Conditions is a breach of these Terms & Conditions and may violate copyright, trademark and other laws. Use of Content. You are authorized to view or download a single copy of the material on the Site solely for your noncommercial personal use and for no other purpose, provided that the copy bears all copyright and other intellectual property and proprietary notices displayed on the Site. The EFNC reserves the right to bar, restrict, or suspend any user’s access to the Site, and/or to terminate this license at any time for any reason. ENFC reserves any rights not explicitly granted in these Terms & Conditions. License Restrictions. Your use of the Site is limited to personal and non-commercial use only unless other uses are granted expressly to you. You may not copy, distribute, modify, transmit, reuse, re-post, or otherwise display the EFNC Content for public or commercial purposes without the EFNC’s written permission for such use of content. You may not harvest or otherwise collect information about others, take any action that imposes an unreasonably large load on the Site’s servers, violate the security of the Site, or engage in any other conduct that exposes EFNC or any of our users to any liability or potential harm. You may use the Site only for lawful purposes in accordance with these Terms & Conditions. You agree not to use the Site: (a) in any way that violates any applicable law or regulation (including, without limitation, any laws regarding the export of data or software to and from the US or other countries); (b) to post or transmit any infringing, threatening, false, misleading, abusive, harassing, libelous, defamatory, vulgar, obscene, scandalous, inflammatory, pornographic, or profane material that could constitute or encourage conduct that would be considered a criminal offense, give rise to civil liability, or otherwise violate any law or regulation; (c) for the purpose of exploiting, harming, or attempting to exploit or harm minors in any way by exposing them to inappropriate content, asking for personally identifiable information, or otherwise; (d) to send, knowingly receive, upload, download, use, or re-use any material which does not comply with the section of these terms and conditions entitled “Intellectual Property”; (e) to transmit, or procure the sending of, any advertising, commercial, or promotional material, including any “junk mail,” “chain letter,” “spam,” or any other similar solicitation; (f) to impersonate or attempt to impersonate the EFNC, an EFNC employee, another user, or any other person or entity (including, without limitation, by using e-mail addresses associated with any of the foregoing); (g) to engage in any other conduct that restricts or inhibits anyone’s use or enjoyment of the Site, or which, as determined by us, may harm EFNC or users of the Site or expose them to liability, or (h) to interfere with the proper working of the Site. Except as expressly provided above, EFNC is not granting you a license under any copyright, trademark, service mark, patent, or other intellectual property or proprietary right in any EFNC Content, and nothing in these Terms & Conditions will be interpreted as conferring by implication, estoppel, or otherwise any license or right under any patent, trademark, copyright, or other proprietary, intellectual, or other right of EFNC or any third party. Linking to Outside Sites. Links to third-party sites are provided solely as a convenience to the visitor of the Site. Such links do not constitute or imply an endorsement, sponsorship or recommendation unless explicitly stated by EFNC. These other sites are maintained by third parties over which EFNC exercises no control. If you decide to access any of the third party sites linked to the EFNC Website, you do so entirely at your own risk. Links to the Site and EFNC Content. EFNC welcomes links to the Site. Unless specifically authorized by EFNC, other sites may not provide deep links to the Site (i.e. create links to the Site that bypass the home page or other parts of the site) and may not mirror or frame the home page or any other pages of the Site. Links to the Site should not appear as though the linking site has an overarching relationship with EFNC unless specifically authorized by EFNC. Links posted by third parties to the Site may not use the EFNC logo and shall not suggest that the EFNC promotes or otherwise endorses any third party products, business relationships, services, causes, campaigns, websites, content, or information. Any links to any portion of the Site shall be the responsibility of the linking party. EFNC reserves the right to require any linking party to disable or remove any link. Personal Login Information. Certain features and areas of the Site are available only with registration, login and/or a paid subscription. If you are required to register and select a unique login and password, you must keep your personal login information confidential. Your personal login information is personal to you and you may not allow any third party to use it under any circumstances. EFNC is not liable for any harm caused by or related to the theft, misappropriation, disclosure, or unauthorized use of your personal login information. You must contact EFNC immediately if you become aware of or believe there is or may have been any unauthorized use of your personal login information, or otherwise wish to deactivate your personal login information due to security concerns. User Generated Content. The Site may allow users to post text, images, audio, video, links to other sites, or other content to the Site (“User-Generated Content”). As a consequence, you may see materials that have been submitted to the Site by individuals not affiliated with ENFC. You acknowledge that you alone are fully responsible for the User-Generated Content you submit and that you own or have the rights to use the User-Generated Content you submit. By submitting any content to the Site, you understand and agree that you are giving the EFNC a royalty-free, perpetual, worldwide, irrevocable, non-exclusive, and sublicenseable license to use, copy, reproduce, publish, distribute, perform, display, and create derivative works from any such user submissions, in whole or in part, in any form (including for promotional or marketing purposes). You agree not to disparage, defame or otherwise seek to damage anyone or invade anyone’s rights through any submitted content. You agree that any User-Generated Content that you or individuals acting on your behalf submit to the Site or otherwise send to the EFNC, including feedback, data, questions, comments, product or service ideas, know-how, suggestions, or any intellectual property (collectively, “Information”), will not be considered confidential or proprietary, even if the Information is labeled “Confidential” or “Proprietary.” EFNC may use any Information for any purpose whatsoever without providing any notice, compensation, or attribution to you. Medical Disclaimer. EFNC Content is provided for informational purposes only and is not intended as medical advice, or as a substitute for the medical advice of a physician. EFNC does not answer specific medical questions or refer people to a particular medical professional. EFNC is not responsible for any treatment decisions made by any health care provider. Third Party Information. The Site may feature materials, information, products, and services provided by third parties. Any such information, including but not limited to articles, press clippings, opinions, advice, statements, services, offers, User-Generated Content or other information made available by third parties such as content providers and other users of the Site are those of the respective third party and not of EFNC or its affiliates. EFNC makes no representation with respect to, nor does it guarantee or endorse, the quality, non-infringement, accuracy, completeness, timeliness, or reliability of such third party materials, information, services or products. EFNC shall not be responsible for any loss or damage of any kind incurred as a result of the presence of such third party content. You shall be solely responsible for any correspondence or transactions with third parties. Usability of Website. EFNC designs, develops and tests Internet content and applications to work with web browsers that adhere to the most recent World Wide Web Consortium Recommended Standards. This is global policy for EFNC and applies to all EFNC Websites and other online activities. Disclaimer. The Site, and all content, material, and information on the Site, is provided to you “AS IS” WITHOUT WARRANTY OF ANY KIND EITHER EXPRESSED OR IMPLIED, INCLUDING BUT NOT LIMITED TO THE IMPLIED WARRANTIES OF MERCHANTABILITY, FITNESS FOR A PARTICULAR PURPOSE OR TITLE AND NON-INFRINGEMENT. ADDITIONALLY, WE DO NOT WARRANT THAT THE SITE OR THE SERVERS MAKING THE SITE AVAILABLE ARE VIRUS FREE. We do not warrant that the functions contained in these materials will be uninterrupted or error free, that defects will be corrected, or that the Site or the server that makes the Site available are free of viruses or other harmful components. We do not warrant or make any representations regarding the use or the result of the use of the materials on the Site in terms of their correctness, accuracy, reliability, or otherwise. Indemnification. To the fullest extent permitted by law, you shall defend, indemnify, and hold harmless EFNC and its affiliates and its service providers, and all of such parties’ respective officers, directors, employees, contractors, agents, licensors, suppliers, successors and assigns (collectively, the “EFNC Parties”) from and against all claims arising from or in any way related to your use of the Site and/or EFNC Content, a violation by you of these Terms & Conditions, or any other actions connected with your use of the Site and/or EFNC Content, including any liability or expense, losses, damages (actual and consequential), suits, judgments, litigation costs and attorneys’ fees. EFNC will provide prompt written notice of any such claims, but failure to provide such notice will not release you from any of your obligations pursuant to this section except to the extent that you are actually prejudiced by such failure, and will not relieve you from any other liability that you may have to the EFNC Parties other than under this section. Severability; Non-Waiver. If any provisions of these Terms & Conditions is found to be invalid by any court having competent jurisdiction, the invalidity of such provision shall not affect the validity of the remaining provisions of these Terms & Conditions, which shall remain in full force and effect. No waiver of any of these Terms & Conditions shall be deemed a further or continuing waiver of such term or condition or any other term or condition. Electronic Communications. When you visit the Site or send e-mails to EFNC, you are communicating with EFNC electronically. You consent to receive communications from EFNC electronically. EFNC will communicate with you by e-mail or by posting notices on the Site. You agree that all agreements, notices, disclosures, and other communications that EFNC provides to you electronically satisfy any legal requirement that such communications be in writing. Use of the Site and EFNC Content outside of the United States. EFNC makes no claims regarding access or use of the Site or EFNC Content outside of the United States. If you use or access the Site or the EFNC Content outside of the United States, you do so at your own risk and are responsible for compliance with all applicable laws and regulations as well as these Terms & Conditions. Effective Date. The Effective Date of these Terms & Conditions is August 1, 2017.